If you would like to make a donation to the museum to support Dome Lab and keep projects like Journey Through Time going, please Donate Now. I've produced a new game for planetariums and theater play which allows users to participate in a narrative driven puzzle with their smart phones. Each player controls a pointer with the movements of their phone, and they can make adjustments to in-game items by swiping on the surface of their devices. The title of the game / show is Journey Through Time and it features art from Dome Lab members. Each play sequence includes a different artist's work. The interactions are designed entirely from the ground up with the experimental interaction platform for planetariums created for Cosmic Orbiters. I'm working on the interactive trailer which demonstrates some of the scenes which will be available in the actual show. The trailer will be available free here on Cosmic Orbiters, and it will be possible to license the show after the premiere if you want to feature this interactive content in your own planetarium, theater, party or any other public display. You're welcome to download The Journey Through Time complete game to play on your fulldome. It requires a Windows machine with a fairly recent video card. It provides a flat screen view on the primary display, and a Spout feed to send the live output to any supported display system. If you would like to build a custom interactive story for your fulldome or installation, I can build your custom interactive application to make your show even more memorable for your viewers. Contact Me for details. 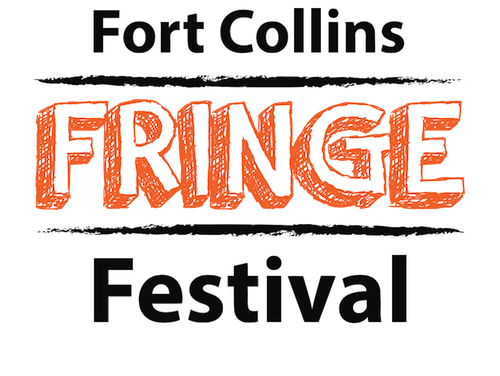 Check out the Fringe Festival Fort Collins official site for details. We've played it a few times at Dome Lab now and I've learned a bit about how to pace the interactive scenes. This has made some substantial improvements to the way the game plays. I'm also adding a timeout system for "agents of chaos" who decide to start wrecking the game during play so they can be gently reminded that everyone is working together to win. We made it all the way through the game in a little less than an hour in each case, and only had minor bugs in the process! I count that as a success. We had nearly 20 plus people at every show, so it tested the interaction engine's capacity in addition to testing the app. Since the museum uses Blendydome for live interactive shows, the game has to run on MacOS, and the Mac Book Pro that we have access to run software on is slower than is optimal for running all this 3D and virtual reality based stuff. Journey Through Time will be made available as an app for your planetarium or theater in the last quarter of 2018. We're presenting a programmable journey which visits the curator's choice of locations and times illustrating different STEM concepts, designed to support popular shows already available from an assortment of planetarium show publishers. Thanks for coming if you managed to make it. Come to Dome Lab to learn more and participate in the creation of additional content.